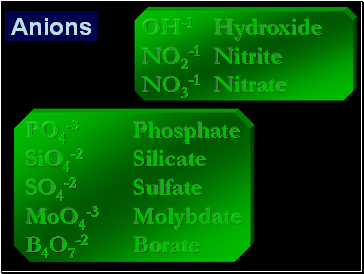 Substances can be identified by their properties. an ion with a positive charge. 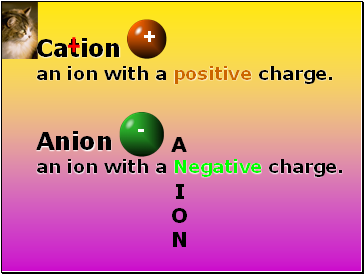 an ion with a Negative charge. 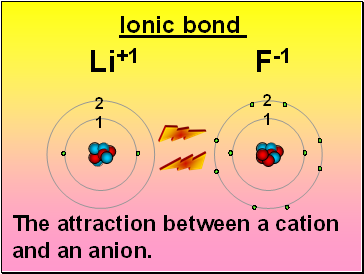 The attraction between a cation and an anion. 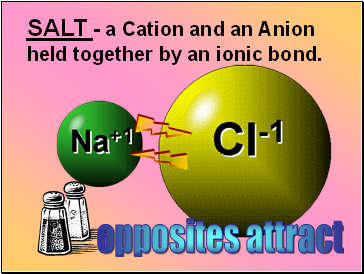 SALT - a Cation and an Anion held together by an ionic bond. 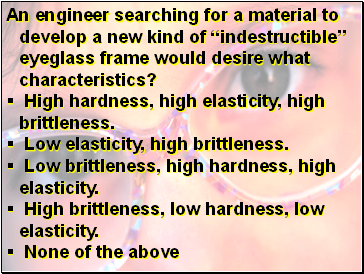 An engineer searching for a material to develop a new kind of “indestructible” eyeglass frame would desire what characteristics? 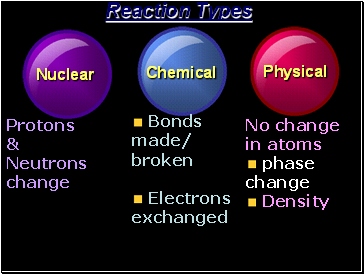 High hardness, high elasticity, high brittleness. Low brittleness, high hardness, high elasticity. 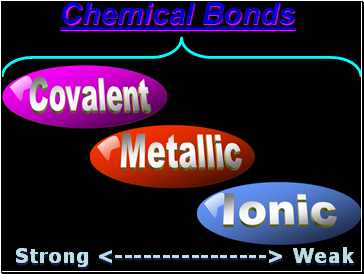 High brittleness, low hardness, low elasticity. Which is a metric unit for density? 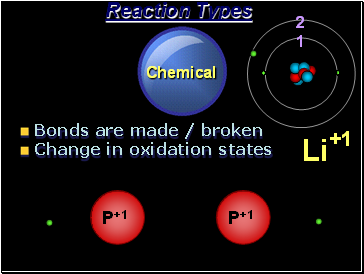 When a gas forms a liquid, which process is taking place? 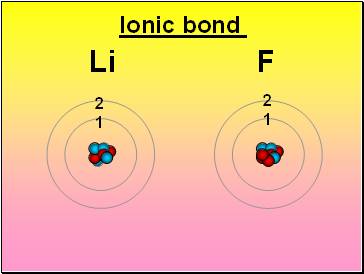 Which unit correctly describes density? 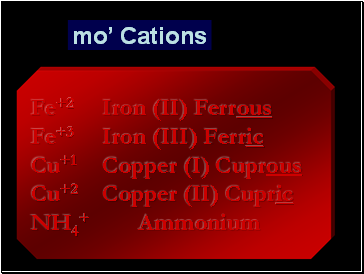 Based on the melting points shown in the table, which material would still be a solid at 400°C? 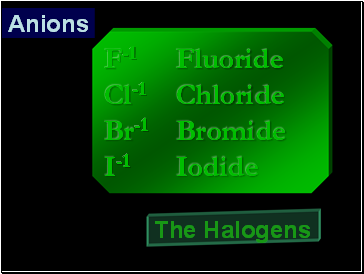 Which symbolizes a molecule of a compound? 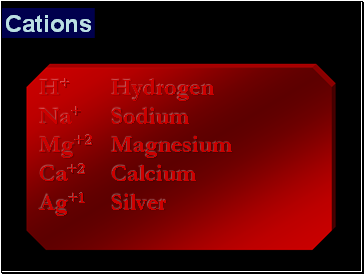 Which is the correct symbol for the element sodium?